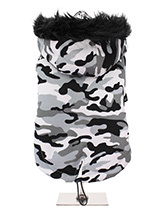 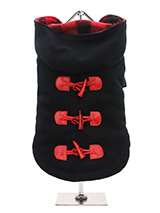 Protecting your dog from the elements has never been easier with our fashionable dog coats, available here at Urban Pup. 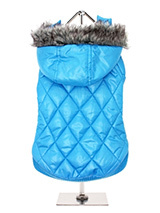 We have a huge selection of styles and materials capable of a variety of uses, from keeping your dog warm and dry to simply adding some chic to your pup's wardrobe. 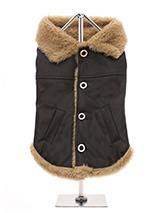 Our styles range from raincoats, gilets and leather jackets, to windbreakers, fur coats, trench coats and more. 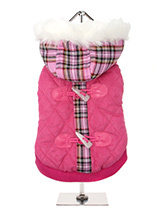 If you want your dog to look like he or she has just been skiing then our luxury white Toggle Quilted Ski Parka or our Ski Jackets would be the perfect look. 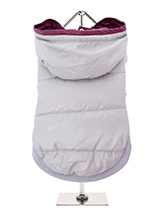 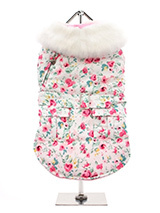 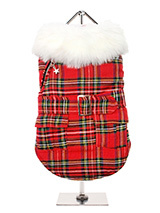 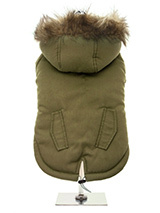 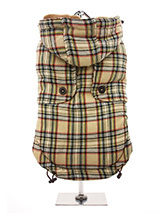 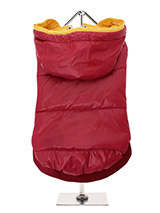 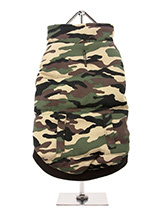 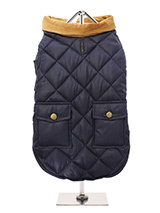 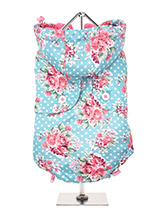 You can shop across the seasons with our comprehensive range of dog coats, both in gender orientated and unisex styles. 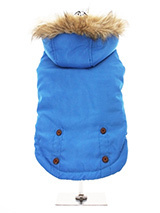 We make sure that your fashion conscious dog has the best picks to keep their wardrobe updated regularly ensuring that they are suited for a sudden downpour, playing in the snow or just in need of a little extra warmth in the chilly evenings. 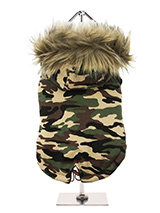 At Urban Pup we balance style with practicality, ensuring that all of our clothes are easy to put on, take off and stay on during all of your dogs' activities. 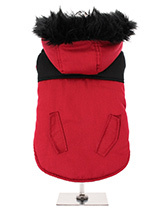 All of the dog coats that we stock are made from the highest quality materials and are available at some of the most competitive prices on the market. 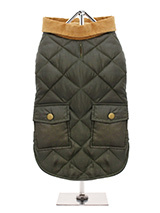 Some of our coats, such as our Argyll Tweed Coat are made of traditional British fabric oozing elegance, heritage and class. 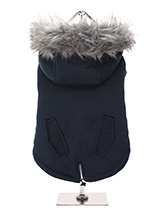 Most of our coats are complete with a leash hole to allow a harness to be worn underneath so your pup can not only look good, but you can also be sure that they are safe. 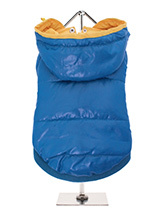 If you have any questions regarding any of our products, don't hesitate to get in contact with a member of our team today.